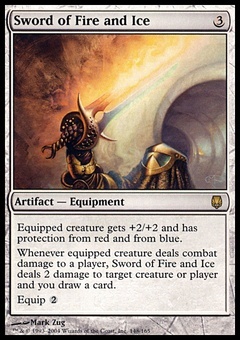 Electrodominance ($1.95) Price History from major stores - Ravnica Allegiance - MTGPrice.com Values for Ebay, Amazon and hobby stores! Card Text: Electrodominance deals X damage to any target. You may cast a card with converted mana cost X or less from your hand without paying its mana cost. 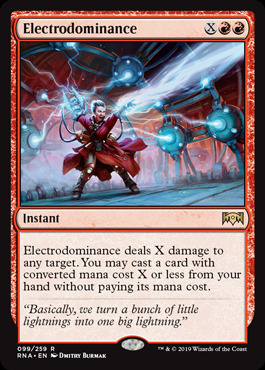 Flavor Text: "Basically, we turn a bunch of little lightnings into one big lightning."